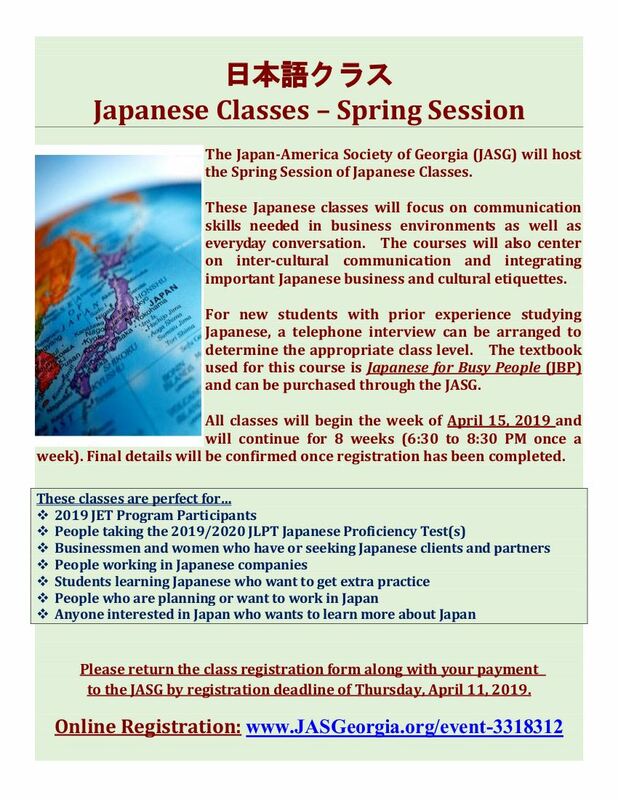 The Japan-America Society of Georgia offers Winter, Spring, Summer, and Fall Session Japanese Classes each year. These Japanese classes focus on communication skills needed in business and corporate environments as well as everyday conversation. The courses also concentrate on intercultural communication and integrating important Japanese business and cultural etiquette. For new students with prior experience studying Japanese, a telephone interview can be arranged to determine the appropriate class level. The textbook used for this course is Japanese for Busy People or custom-made print outs which can be purchased through the JASG. All sessions last 8 weeks (6:30pm to 8:30pm once a week). Final details will be confirmed once registration has been completed. 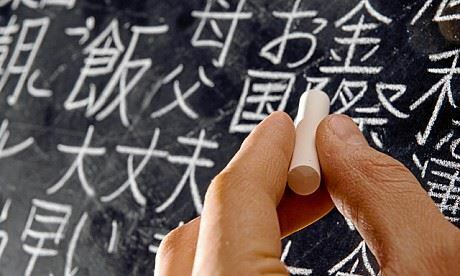 A variety of levels of Japanese language classes are offered. Classes meet for two hours, one evening per week, for a total of 8 weeks. or contact the JASG office at 404-842-1400 or Admin@JASGeorgia.org.